So finally the TV opener I shot for Channel 4 Nelonen's new TV show "Pallon Ympäri" is finally out, and I thought id write a short breakdown of how I shot it. 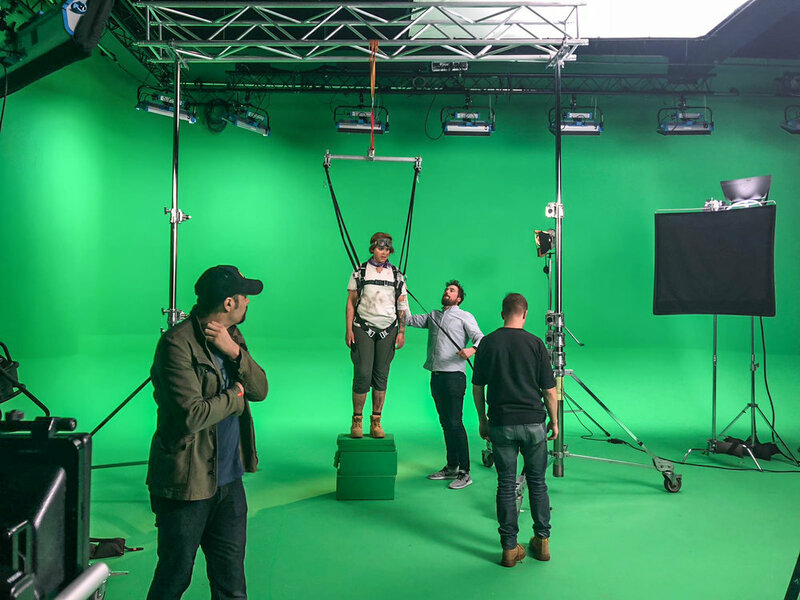 Even though the TV spot was a mere 30 seconds, the spot covered a wide range of different environments from around the world that require specific lighting and good communication with the VFX team. 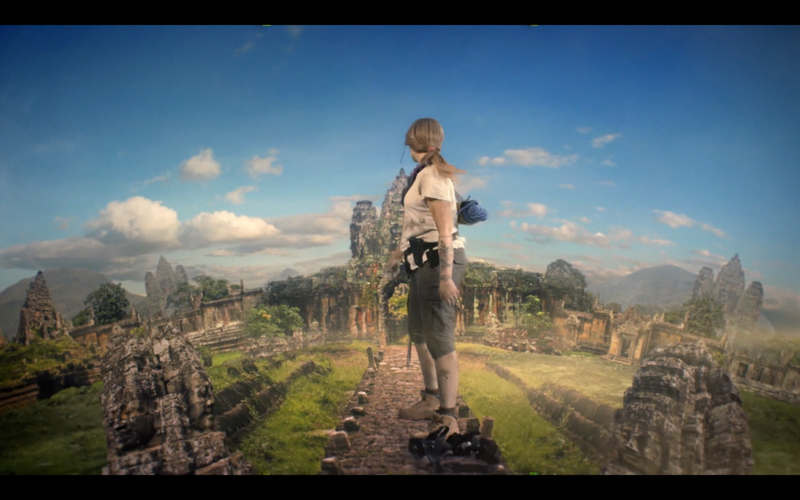 The idea behind the spot was to have the characters be giant-sized scaled to the real world, and have them walking around interacting on their global journey. After remembering the 1993 movie "Attack of the 50ft Woman" I decided to shoot everything in 50FPS for the post guys to slightly play with when cutting between speeds. This extra frame rate would allow them to slow down the characters to a certain extent giving the element of the sheer size of the talent. I decided to shoot this spot on the RED Epic due to the VFX post house wanting to play so much with scaling. 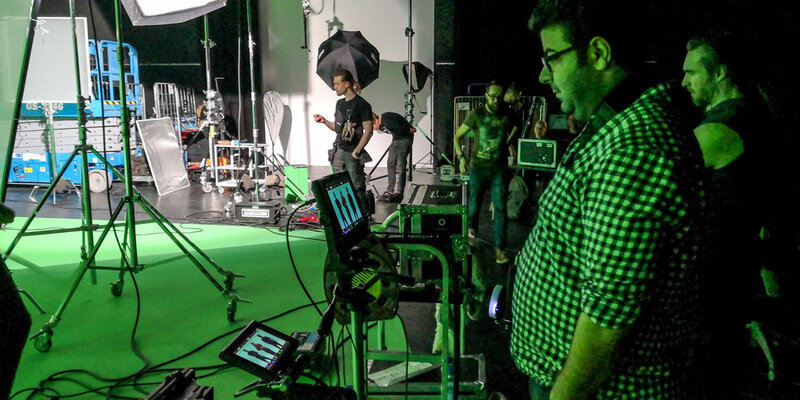 The 6K resolution was more than enough for the guys to work with. Some particular sequences we also shot vertically, with the camera mounted on its side, just fo the sheer extra resolution the VFX guys could play with. Everything I decided to shoot with a 3:1 ratio of exposure with key - shadows. I ensured that the Key light was one stop over-exposed. We used the Arri Ultra primes on this gig, I kept everything around T4 as I have found find this is the sharpest aperture with these lenses. There were a few occasions where I opened it up a little more just to maintain a nice blur in depth of field, just to prevent to chroma background from being to clean. I kept the Chroma 2 stops underexposure, too which they were illuminated by a series of Arri Skypanel s60's. Because of the Character scaling a lot of shots we had to lower the camera to knee level to simulate once again the character size to the real world. This also affected the focal length choices with the some of the wider shots and closer takes. With the world being at that scale we see the horizon as a curve, and the perspective is warped, just like on a wider lens such as a 14mm. But again with the size of the characters they still needed to look normal as they were much bigger than real world, so I decided to fly with a 28mm and 50mm. I had to deal with simulating the atmospheric lighting environments of Cambodia, Thailand, Siberia, Nevada, and Hawaii. So you can imagine it wasn't just about color temperature but also about breaking down the weather patterns of these areas and how natural light and sun sources diffuse. Our main source of illuminance that was used on 90% of the shots was a large 24 x 24 bounce above the talent which we fired up with a large Arri M40 HMI. 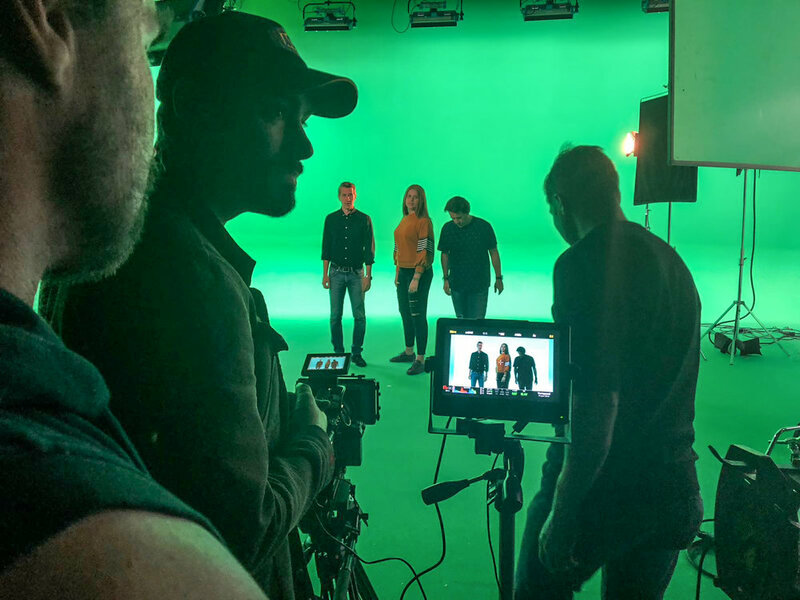 We want the main source temperature to be nice and clean for the VFX crew whilst the other lights that we used were to simulate the environments. For backlight, we punched in a warm 2kW Tungsten to give a nice edge light to the back of the characters during the Asian and desert scenes. This was of course modified in direction dependant on our perspective an location. The desert sequences I wanted a hard heavy feel to the desert sun, so I got the gaffer to raise the Fresnal quite high and to remove the 1/4 diffusion we placed in front of it for the other sequences. 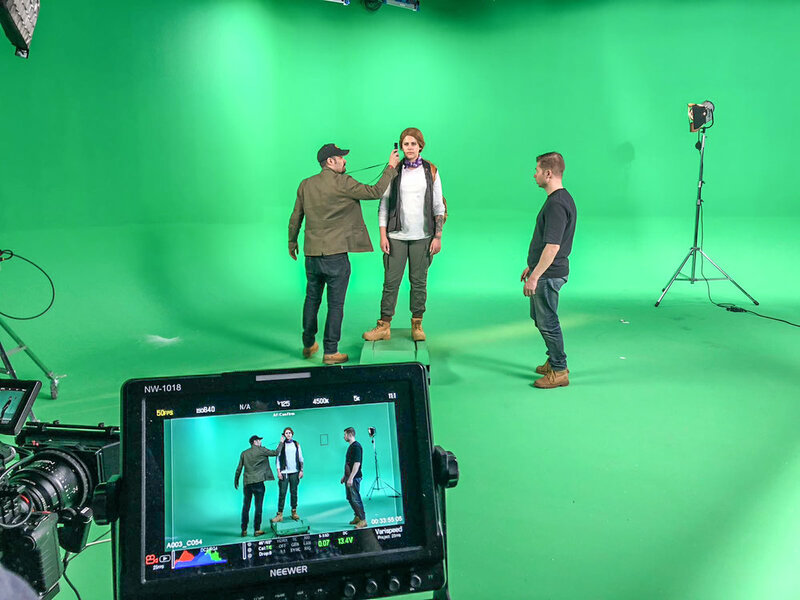 For fill, we used an Arri Skypanel s120C, to which we could diffuse and also change the coloring to match the environment required. The Cambodia sequences we wanted a jungle yellow as the fill instead of the typical Fresnal bouncing back. Original I was thinking we might have to throw some magenta into the coloring to avoid some chroma spill, but the VFX guys were happy with the amount of spill we had. Not too much of a difficult gig, but always a mind thinker when you are working on a chroma screen and having to imitate a different environment and with this particular gig, different size characters to their environment. 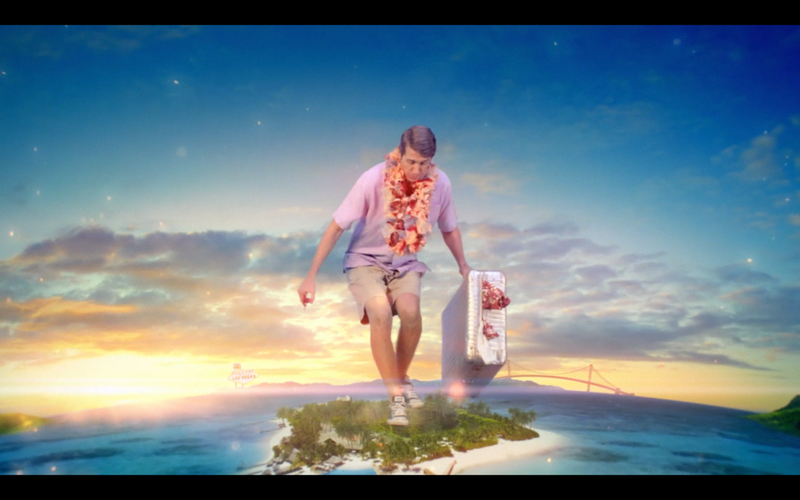 Check out the full TV spot below.